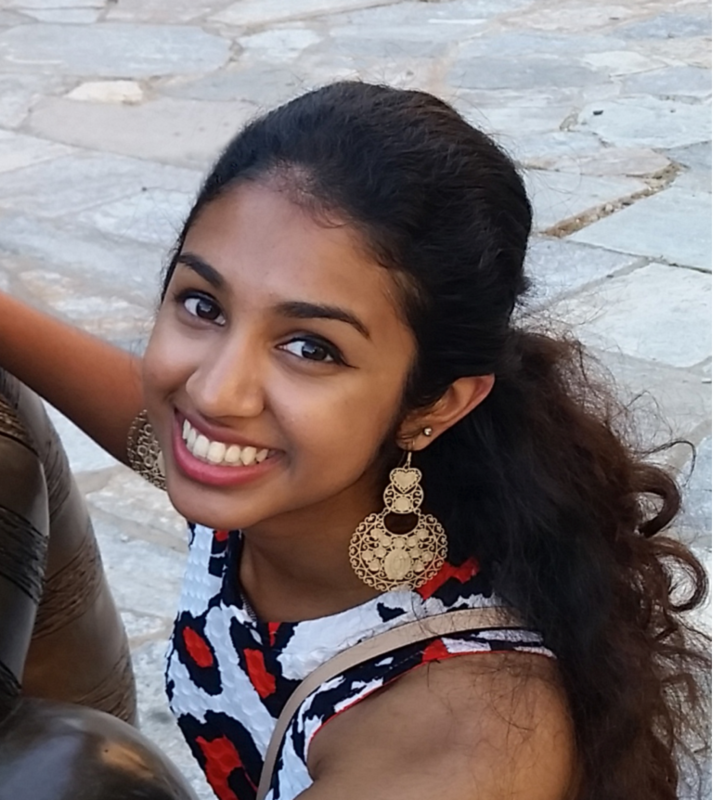 Sonal Rangnekar is a senior at UC Berkeley studying Chemical Engineering, and Materials Science and Engineering. She is currently on Cal’s Bharatanatyam team: Natya at Berkeley. She has received formal training in Bharatanatyam for eight years, but has been dancing and performing Bollywood since she was five! Which styles do you wish you could do more? I started taking lessons in American Modern and Belly Dancing this past summer. I’d love to continue training in those. What do you enjoy about dancing? Dance is liberating. Whenever I’m at dance practice or jamming with my roomies, I can live in the movement. There’s also the technical skill and art of dance that I love. What's the inspiration behind your Bajirao Mastani piece--if anything? Is there a story behind it? As a Marathi mulgi, I was so excited for Pinga to come out! “Pinga” is a traditional Marathi dance in which women move their torsos in circles from their waist. I tried to emulate parts of that tradition in my choreography while keeping with the Lavani theme of the Bajirao Mastani version. I also couldn’t resist adding a Bharatanatyam flair to the piece. Producing my Pinga video was also a family affair – my parents and brother really got into it, and it was a great way to bond over Thanksgiving break. I’m currently applying to PhD programs, and choreo’ing Pinga was the perfect way to procrastinate for that! I’m also the Co-Director of Laasya 2016, the nation’s oldest classical Indian dance competition, which will be held for the first time in the San Francisco Bay Area. I make some awesome gulab jamuns. Sonal's choreography to Pinga seamlessly combines Bharatanatyam with elements of Bollywood and Folk Dance. Her piece is elegant, energetic, and sure to lift up your mood! If you enjoyed Sonal's rendition of Pinga, please click HERE to vote for her. In order to vote, make an account on Bollyshake and click the Thumbs Up.